Christmas, with all that decorating and cooking, is a time of year that sharpens my focus on the kind of person really I am. I can clutter the house with a hundred trinkets and make it as cozy as a cabin in the snowy mountains even though it’s summer in Australia. I love to have lots of things around me. More is more. But like a potpourri, I like it to have a cohesive thread. So when everything is Christmas themed, there’s the thread and once a year I decorate with every bit of Christmas potpourri that I can find. My personality is typically Piscean. I thrive with variety and an outlet for creativity. Not content to have one craft of the moment, I have many projects of the go at once and enjoy them all. I need the stimulation of making things with my hands. I feel it provides creative energy which I can use when writing. I like to garden and cook and sew and paint and hot glue things. I want to make and make and never stop. But there’s a limit to how much stuff I can put in my house so Christmas is a time I let my head go wild. There’s never too many decorations or ornaments. I’m only limited by how much storage space I can allot to it. But I’m already looking at second-hand garden sheds for sale. 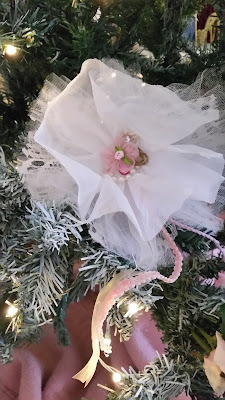 I have a blog on my website about this year’s romantic Christmas theme that I’ve decorated the family room and kitchen areas in. 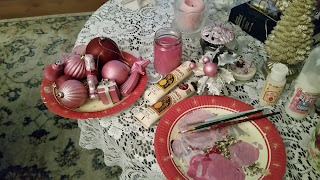 Some of the things I’ve been doing this year to add to my collection include making lacy rosettes and painting baubles and décor in the pink shades I need for this theme. 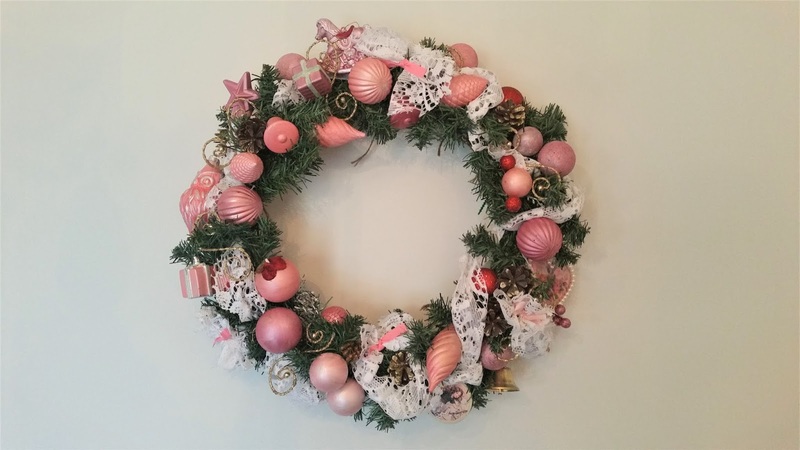 A wreath decorated with lace strips cut from an old curtain and baubles, from years past, hand painted shades of pink. Being a craft hoarder I have paints on hand that I can use. The pearl white mixed with burgundy makes a very pretty mauve/pink. 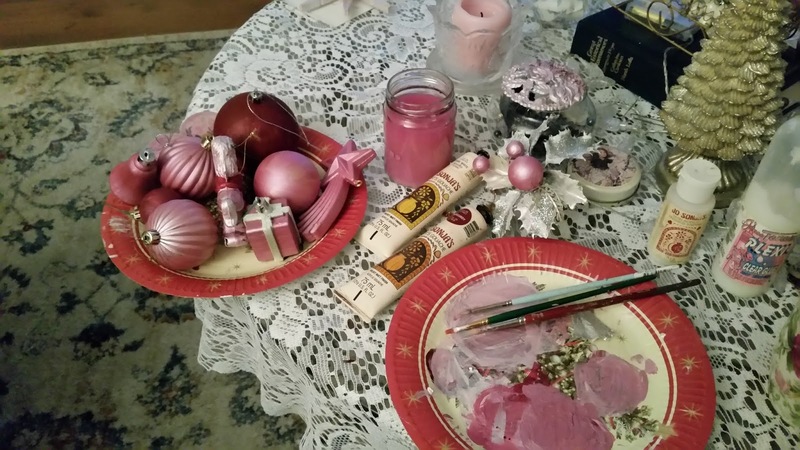 I painted my deep red Santa’s pink but if I want to use them in a traditional theme next year, the paints and brushes will come out again. A potpurri of ornaments freshly painted. If you’d like to see what I’ve been doing to decorate my Romantic home this year check out my blog at www.dorabramden.com Last week is the kitchen and family rooms, next weekend will be the bedroom, ensuite and the guest bedroom/study, where I write. Have you ever decorated in the romantic style for Christmas? I've interpreted it as a cross between shabby chic and Victorian but I think it's got to be whatever inspires romance for you. Dora, I'm agog! You are amazing, so talented in so many different arenas. 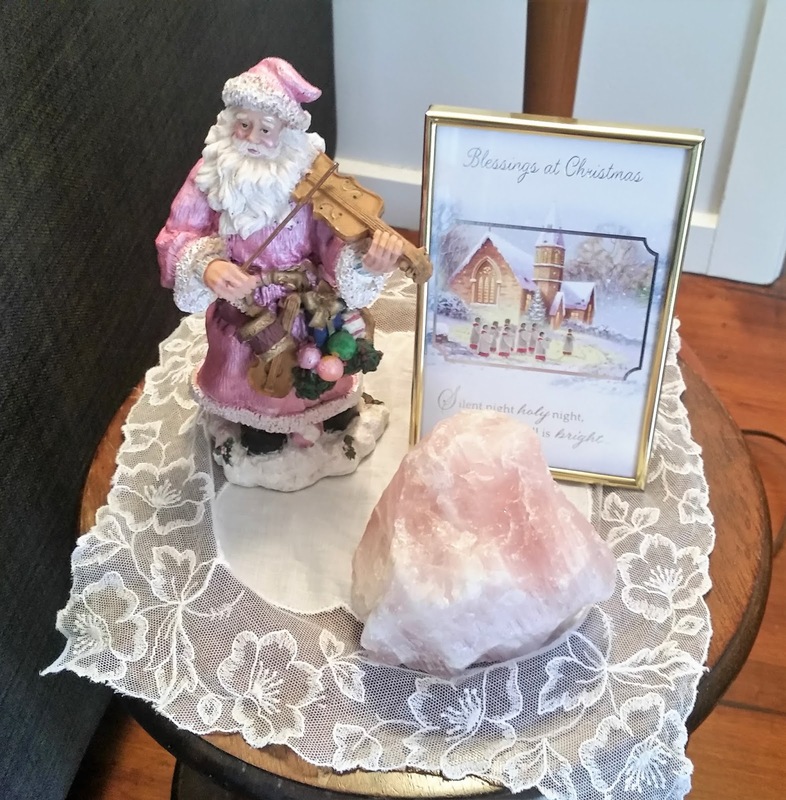 Thank you for sharing your Romantic Christmas decor.